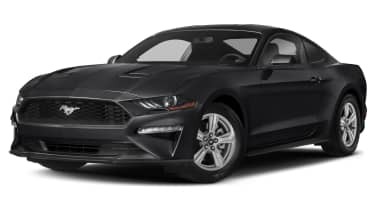 When the Ford Mustang was redesigned for 2015, it eschewed the retro muscle design full of vents, square edges and anger for a clean, curvy, organic shape. And as such, we're pretty shocked that Ford itself would enable people to assault such a lovely shape with horrible tacked-on scoops. And so many of them, too! There's a huge scoop for the hood, and pairs for the rear quarter windows and behind the doors. These are parts we would expect from an aftermarket willing to indulge anyone's tastes, no matter how appalling they may be, not the company that worked so hard making the basic shape so attractive. Of course, as shocked as we are, our cynical sides remind us exactly why Ford offers these parts. It's because Ford knows as well as we do that there are loads of people who think scoops are cool. And they'll cite all kinds of history to support their desire for scoops, such as the various Shelby models that added scoops on the fastback pillars and behind the doors. To them, it doesn't matter if they no longer match the new car's aesthetic, or if, you know, they are in no way functional. It's still a Mustang, and Mustangs need scoops! And as long as there are people who feel that way, there's money for Ford to make what would otherwise go to aftermarket companies. How much money, you ask? Well, the side scoops are $269 for a pair, either for the windows or fenders, and $499 for the hood scoop. As an added bonus, they come painted in factory colors already, meaning no extra cash for getting them painted. 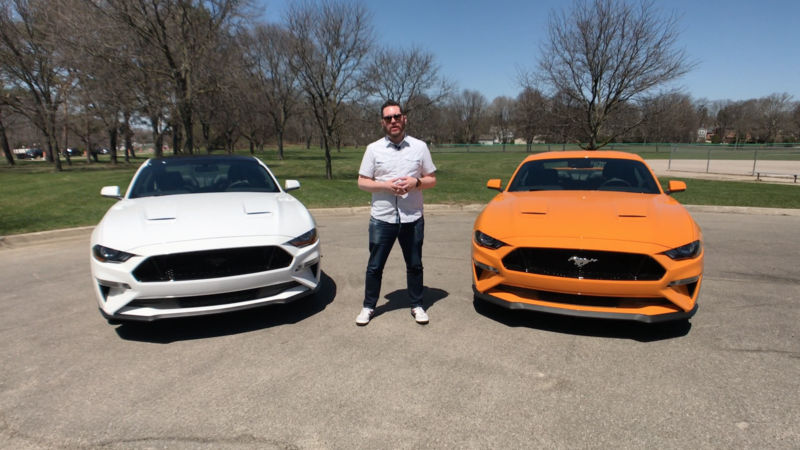 Plus, Ford and its dealers get to sell up to $1,000 worth of parts per car. It's a win-win for everyone, except those of us who have to look at these mistakes. Hopefully Ford will take a stand against bad taste and not develop scoops for the refreshed 2018 model, which doesn't have any available ... yet.